With joyful thanksgiving to God, Bishop William Patrick Callahan will celebrate Mass on May 27, 2018, at 10:30 am, at St. Joseph the Workman Cathedral, La Crosse, WI, to mark the completion of the investigation of the Servant of God, Father Joseph Walijewski’s life. At the Mass, the official documents will be signed and secured with the official Diocesan seal in order to be presented to the Congregation for the Causes of the Saints in Rome, who will then begin their investigation regarding the position for the Servant of God, Father Joseph Wailijewski. On March 19, 2013, Bishop William Patrick Callahan announced the opening of the Cause for Beatification and Canonization of Father Joseph Walijewski. This process called for an investigation and testimony to ascertain the holy life, the heroic virtues, the reputation of sanctity and any miracles attributed to the Servant of God, Father Joseph Walijewski. Experts in theological, canonical and historical matters have spent the past five years completing the necessary research, study, and testimony. The collected information was carefully documented and assembled into the Positio, a summation of the life and virtues of the Servant of God. These documents, the Positio, will now be presented to the Congregation for the Causes of the Saints marking the next step in the process toward canonization. Father Joe served the Diocese of La Crosse from his ordination in 1950 until the time of his death in 2006. His early ministry was to the people of Thorp and Stevens Point. In 1956, Bishop John Treacy granted a mission request made by Father Joe. He then ministered to the people of South America, most notably in Bolivia and Peru. After a visit to Peru by Pope Saint John Paul II in 1985, Father Joe received the funds to begin building an orphanage, Casa Hogar de Juan Pablo II. Sixty-four abandoned or orphaned children reside there today. The home is modeled after Father Flanagan’s Boys Town. 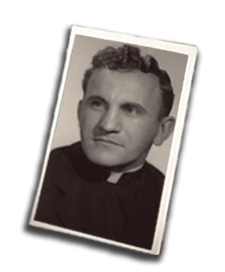 The official website for Father Joe’s Cause, frjoesguild.org, includes a biography, timeline of his life and information about the Guild for the promotion of the Cause for Canonization of Father Joseph Walijewski. Additionally, visitors will find his prayer for canonization, information on how to request prayer cards and how to report favors granted. For those unable to attend the Mass on May 27 at the Cathedral, a livestream of the event will be available at www.diolc.org/live. Media representatives wishing to attend the Mass on May 27 are asked to contact the Office for Communications and Public Relations at 608-791-2657, or email ebrannon@diolc.org by May 25.